The Holiday Season is right around the corner. Have you put any thought into your holiday greeting cards? What days and hours will your auto shop be open around the holidays, like Thanksgiving, Christmas and New Year’s? Will you be offering any special promotions for those times? What seasonal services should your customers be thinking about, like wipers, tires and breaks for rainy or icy weather? These are important messages you should get out to your customers in a timely manner, so they ave time to plan. You might be thinking to yourself, “Yea, but I have time to work on that next month.” As you already know, time goes by quickly in the shop; next month is here and your shop is getting busy. Most shops get a nice rush by the end of November. So leaving the planning till later leaves you susceptible to deadlines creeping up on you which can be problematic when you need to do a sequence of design approvals. It’s always important in auto shop marketing be a season ahead. As you can see everywhere you go, many companies are already starting Black Friday deals and Christmas promotions, and Thanksgiving is still over a month away. These promotions and advertisements were probably created all the way back in summer. The fashion industry does this every year. It’s fall now but most have just released their spring lines. This is how you should think about your holiday greetings. SocialCRM has many options when it comes to postcards. We have an arsenal of graphics for you to use and customize. One of the most successful ideas that we have seen at SocialCRM is incorporating a holiday photo of your staff! Benefit #1 | Building Relationships: Most of you know your customers and their families just as they know yours. Seeing your greeting card can make a huge impact when it comes to building your customer relationships. Personally, these are my favorites. For the past eight years, I have looked forward to seeing updated photos from a few repair shops. I enjoy seeing all of the family members and seeing the kids and grandkids grow. Benefit #2 | Staying Top of Mind: Where do you think they are going to put that postcard? People are less likely to toss away a card or postcard with a photograph than a standard card or postcard. And because it is a holiday greeting, it’s likely it will end up on the refrigerator or along with other holiday cards they may receive from friends and family. That’s the best marketing you can get! So every time someone reaches into the fridge, your brand and nice message is seen. Then, when they need their car serviced, your shop is the first one that comes to mind. Benefit #3 | Extended Reach to New Customers: If guests come over, see the card and ask about it, this is a great opportunity for your customer to tell them how they trust you and love the service. This positive word of mouth from your customer could allow you to gain a new customer. The point is this goes far past a simple holiday postcard. Be on time by getting ahead of your postcard planning. If you do plan to do holiday cards with a staff photograph, you should work on getting some pictures taken very soon! These cards take time and bit of extra effort. You don’t want to throw something together at the last minute. Only the best works of art make it to the coveted refrigerator real estate space! At SocialCRM, we will help you with the artwork, the list of customers you want to send to and everything in between. 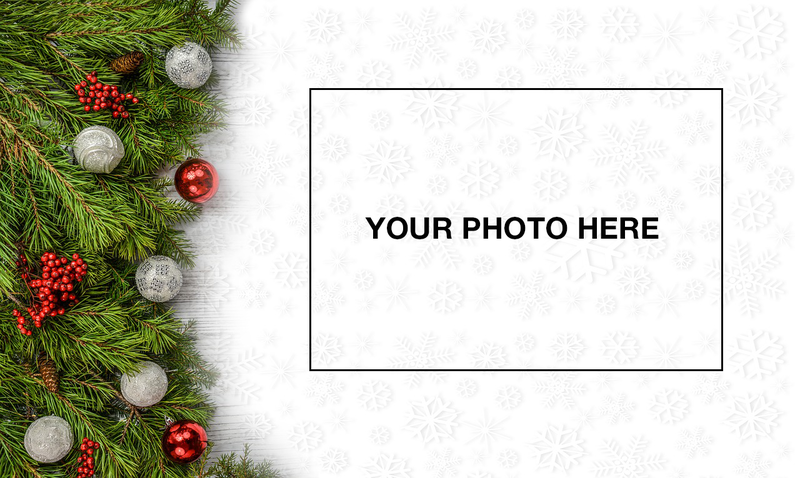 Contact your support agent today and start working on your holiday greeting! Prev:Why Include Postcards in Your Marketing Plan? Lizzy Murphy has been with Mitchell 1 since 2010, starting on the front lines as a receptionist. She is now the Support & Sales Lead for the SocialCRM team, and happily helps our repair shop customers with their marketing initiatives. In her spare time, she works on restoring classic cars or creating culinary dishes at home.